In truth, however, I was going to Fiji because my boyfriend Ian had been volunteering at a shark conservation project with Projects Abroad, doing marine conservation work and getting his divemaster qualification in the process. This made the trip extra special as we spent a lot of time hanging out with the Projects Abroad people – a great mix of international volunteers. It was great fun! 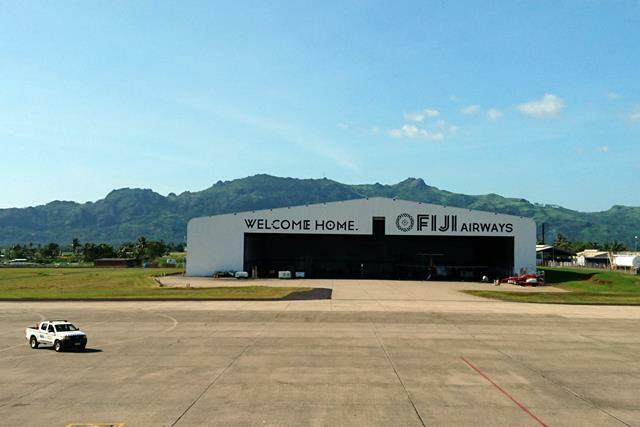 Fiji is in the South Pacific, east of Australia – it’s about 3.5 hours’ flight from Brisbane. It comprises more than 300 islands, but something like 87% of its population stay on one of the two major islands, Viti Levu and Vanua Levu. 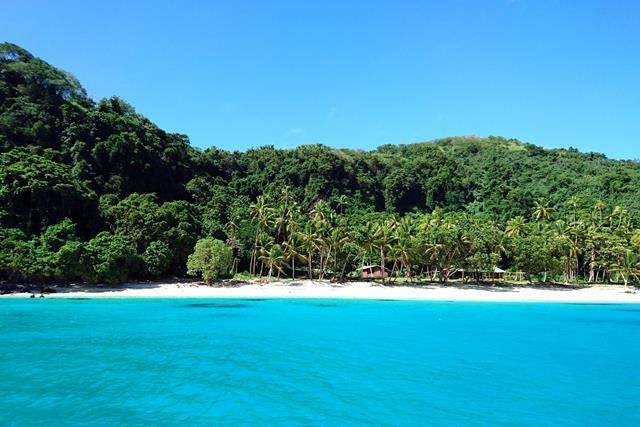 I stayed within Viti Levu, but the Yasawa Islands and Mamanuca Islands are favourites with many travellers. Everyone speaks English, but I recommend you learn how to say hello and thank you in Fijian: Bula and Vinaka, respectively. Fijians are very friendly and it’s common to say Bula! to everyone you pass on the streets. The bus ride from the airport to Pacific Harbour (where I was headed) takes about 3 hours. I’d normally spend it dozing, but on this occasion I struck up a conversation with the Fijian guy sitting next to me, who happened to be heading there too! Joe had travelled all over with the British Army and I learnt many fascinating things about Fiji from him. Despite a relatively small population of 0.8 million, they excel internationally at rugby (sevens only). They’re the reigning world champions of the World Rugby Sevens Series. Watch out for them at this year’s Olympics, where rugby 7s will be held for the first time in almost a century! Fijians are crazy about rugby. If you know a little about it (unlike me! ), you would make instant friends and could probably talk rugby for days. We passed a village which had “Wallabies” painted on a wall and a house with Australian colours. Unpatriotic? Not really – 2 guys from that village play for the Australian national rugby team! About 40% of the population are Indo-Fijians – descendants from Indian indentured labourers brought over by the British during the colonial era. English is their second language. Fijians speak Fijian at home, and Indo-Fijians mostly speak Hindi but some can speak Fijian. However, younger Fijians have now started using English words even when speaking in Fijian. There are many Fijian dialects too. It’s sad to think the linguistic diversity here is slowly being eroded by the pervasiveness of English! There is a lot of “village spirit” even in the cities. Extended families are very close-knit. The reality of climate change: in Joe’s village, the sea now comes up to the first house on the sand. Did you know that another island nation, low-lying Kiribati, has purchased land from Fiji in anticipation of being gradually submerged due to rising sea levels? It’s no coincidence that the first countries to ratify the Paris Agreement were island nations at great risk from climate change. This really drove home for me the need for us all to do our part to reduce greenhouse gas emissions. Check out some totally doable suggestions from Alex in Wanderland here. 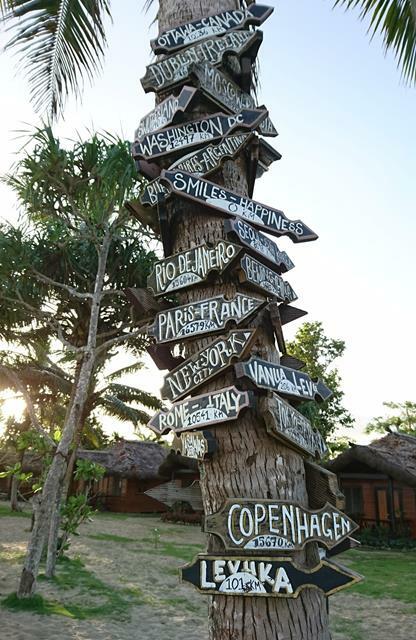 For the first few days, we stayed here in the “adventure capital of Fiji”, at Uprising Beach Resort. 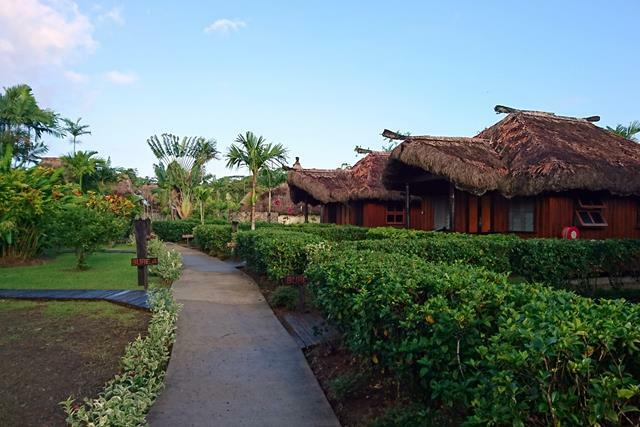 We booked a traditional thatched bure (which can house up to 4 people), but other accommodation options are the villas (more expensive) and the dorms (cheaper). My biggest complaints? Wi-fi isn’t free, except for a few hours in the afternoon. (I’d recommend getting a local SIM card at the airport!) In addition, our shower was faulty and we had no hot water. They weren’t able to get the necessary spare part(s) in time so we had to make do with cold water. Overall though, I loved it here and would definitely stay here again. Bonus: the national rugby team trains here! A Garden Bure costs FJD285 (SGD185) per night for 2 persons. Beachfront Bures are slightly more expensive. We got a slight discount, though, due to Ian’s association with Projects Abroad. Around Pacific Harbour, this is the closest thing you’ll have to a shopping complex. There are restaurants, cafes, banks/ATMs and various shops (I got reef-safe sunscreen and lip balm from the dive shop here!). You can also book tours here. The fire-walking tour looked interesting, but the timings didn’t work for us. Many friends asked what Fijian food was like. Unfortunately, I can’t really answer because we kept eating generic Western food. At the Arts Village, we had burgers at Oasis Restaurant, which were decent (about FJD40 / SGD26 in total). I appreciated the vegetarian option! Shaken by the climate change discussion I had with Joe, I was (and still am) trying to cut down on meat consumption. There is also Skinny Bean Cafe (free wi-fi! ), with fluffy pizzas (FJD 15 – 18) which Ian loved. 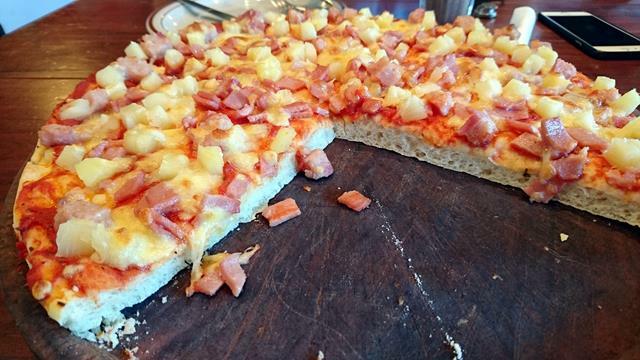 I tried the Hawaiian and thought the ham had a very strong smell. 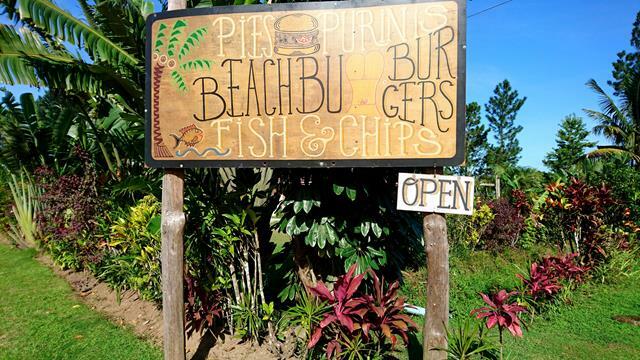 At the entrance to Uprising, there is Beach Bum Burgers: a burger / fish and chips restaurant. A great option if you’re staying there and feeling lazy! 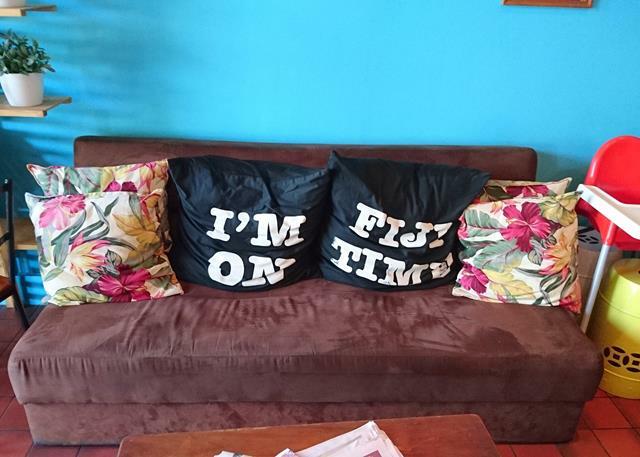 Note that the food takes a while to come, though – all in good (Fiji) time! I had the fish & chips but found the fish a bit too dry. I preferred Ian’s burger – the Bad Boy with Cheese. We visited a few times – to introduce me to the staff and other volunteers, return borrowed stuff etc., and I got to see a bit of what they do. I happened to be there during the weekly swim club where they teach local kids how to swim. Always good to know, especially when you live on an island! I also visited the mini-mangrove nursery – mangroves are vital to shark conservation as they act as nurseries to several shark species. Unfortunately, more than half of the planet’s mangroves has been lost in the last 50 years due to farming and other human activities. On a happier note: super cute dogs! 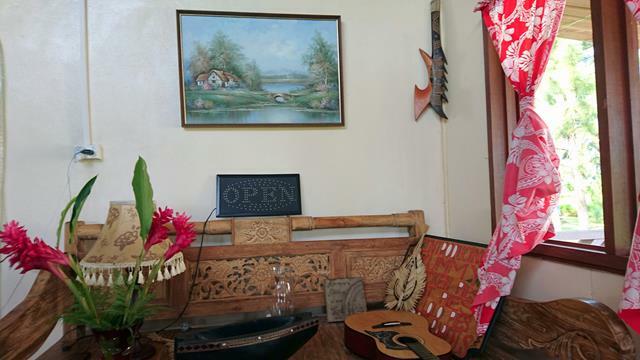 Next up: diving with sharks and other creatures, and our time in the town of Nadi. 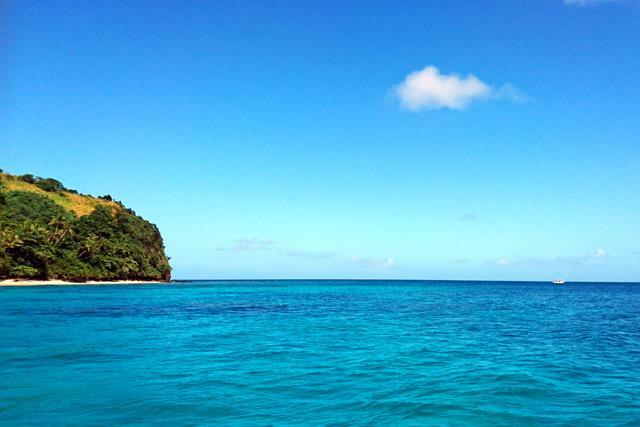 Have you been to Fiji? What was your favourite place? What are your tips for sustainable living and travelling? Such a beautiful place and way to learn more about it. Who would think about the rugby obsession? I think Fiji is an 8 hours flight from Los Angeles and you do not have to cross the International Date Line. I should plan a trip there! Yeah, an 8-hour flight sounds manageable! There were lots of tourists from Australia and NZ (naturally) but a handful of Americans too. You’d have to cross the International Date Line, but I reckon it must be really fun to tell people you came from tomorrow haha =) thanks for stopping by and commenting, Ruth! I will have to stop in Fiji next time I am in Singapore visiting my in-laws. Your photos make it look like the most beautiful place! 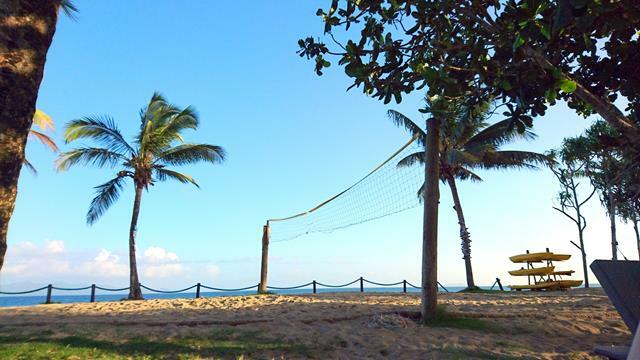 It really is the epitome of a beach paradise! It’s kinda in between Singapore and the US so you could take a short detour there en route to Singapore. Also, really fascinating to hear your in-laws are here! Hope you like our little red dot =) Did you marry a Singaporean? I always said that “exotic” is a matter of perspective: it depends from where you are looking at it. 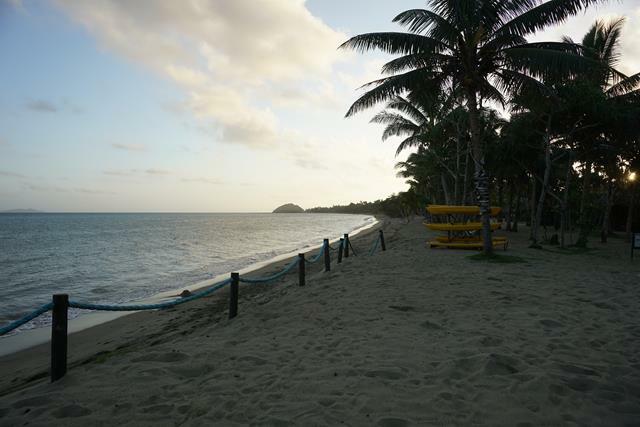 Fiji Islands are really beautiful, but I’ve only spent 8 hours there, in transit. I’d love to go back and visit them in detail. Great pictures! Yeah! Are you watching the Olympics? I’m currently in Sabah, Malaysia with barely any internet access and none of the (few) Tv channels here are showing the olympics so I feel like im missing out on a lot! Currently living in Nadi! I witnessed the celebrations from the Rugby Sevens – it was crazy! Wrote about it on my blog. The Beqa Shark dive was outstanding. That was out-of-this-world. I love Natadola Beach for snorkelling, and the Coral Coast is beautiful. 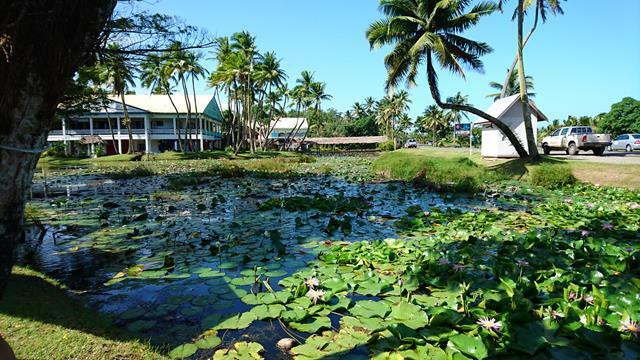 I also love driving from Nadi to Suva through all the villages and seeing how welcoming everyone is. It’s very humbling when you see the living conditions for locals. Fiji is a special place and I can’t wait to continue exploring it! Wow, it seemed like every single person I met was a rugby fan, so I can only imagine what the celebrations were like in Nadi! Glad you enjoyed the Beqa Shark dive too 🙂 I haven’t been to Natadola Beach or checked out much of the Coral Coast properly – will have to do so if I ever go back. 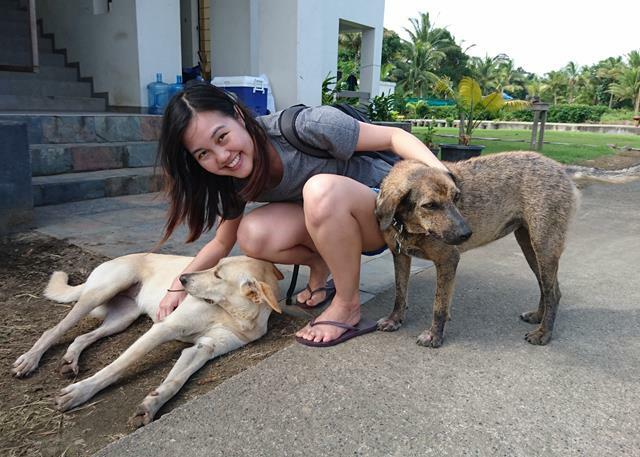 The friendliness of the locals is definitely one of the things that struck me most. Hope you have loads of fun exploring Fiji, it sounds like it will be a great adventure for you 🙂 Thanks for commenting, Juliette!